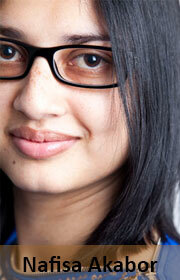 You are at:Home»Opinion»Nafisa Akabor»Are our cars getting too smart? Are our cars getting too smart? Have you ever thought about what it would be like to speak to your car, to ask it to navigate you to a point of interest without knowing the address, or asking for restaurants by cuisine type that are closest to your current location? How about just telling your vehicle “I’m hungry”, and it bringing up a list of restaurants nearest to you, which you can filter further until you find something that grabs your interest? Unsurprisingly, you can do all of this with Ford’s next-generation Sync in-car infotainment system. The Sync platform has been around since 2007, but only made its way to South Africa towards the end of 2012 with the launch of the Ford Focus. The system is built by Microsoft and runs the Windows Embedded Automotive operating system. It works with any Bluetooth smartphone. I’ve had the opportunity on several occasions to try the technology, and each time I came away more impressed. I could ask it to call a contact by name, play music by artist or existing playlist, or skip tracks. What the newest Sync 2 brings is more advanced features, a large touchscreen interface, and App Link, which is a nifty feature that lets you control selected apps, including Spotify, through the car’s interface. 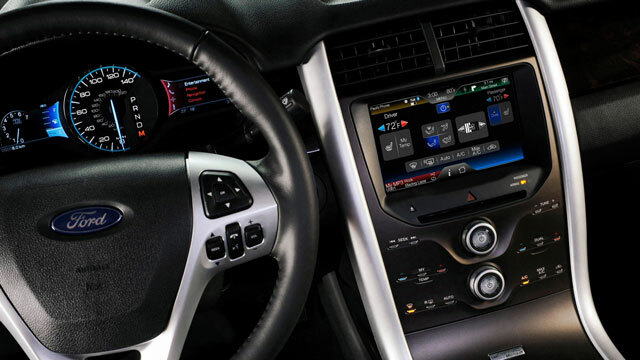 Once paired to your vehicle, all controls of the app are transferred to the car’s touchscreen. While Ford has the advantage of being ahead of the pack in this space, others are starting to follow. Apple made headlines earlier this month at the Geneva Motor Show when it announced a new product called CarPlay. It is the first time Apple will use third parties to incorporate its technology. CarPlay lets iPhone 5, 5c and 5s users pair their handsets with selected vehicles — the 2014 line-up includes Honda, Hyundai, Mercedes-Benz, Volvo and Ferrari — and control them with the car’s existing built-in display. You can make calls, get directions, send and receive text messages, and listen to music while focusing on driving. You can control it through voice using Apple’s voice command system Siri, or by using the touchscreen display or the car’s dials and buttons. A few weeks prior to that, at Mobile World Congress in Spain, Qualcomm, in partnership with BlackBerry, showcased the QNX Car platform on a Mercedes-Benz CLA45 AMG sports car. Features include connecting a smartphone to the vehicle over USB and Wi-Fi, 3D navigation with voice prompts, high-definition video decoding, multimedia streaming, over-the-air software updates over 4G/LTE and automatic speech recognition for hands-free calling. Never one to lag behind, Google made an announcement at the Consumer Electronics Show in Las Vegas in January about a partnership with car manufacturers and chipmaker Nvidia. Google’s Android operating system will make its way into vehicles from General Motors, Audi, Honda and Hyundai later this year. Audi already has a partnership with Google that pulls Google Earth imagery and Street View onto its cars’ navigation systems. This all sounds brilliant, but you have to wonder about safety. I’m all for having a built-in, hands-free solution in my car, but putting in a touchscreen with a fancy chip, built-in LTE and advanced HD features is enough to draw my attention away from the road.